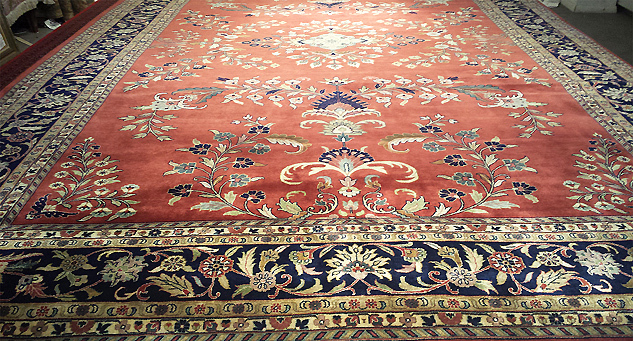 Classic Persian Heriz hand-knotted wool Oriental rug in rust and navy by Nejad Rugs of Doylestown. Clients selected carefully color-coordinated Oriental rugs from Nejad Rugs in Doylestown, Bucks County for their stunning New Hope PA custom-built Zavetta home. For their expansive living room, Nejad’s Classic Persian Heriz hand-knotted wool Oriental rug in rust and navy, Size: 10′ x 14′, was chosen. 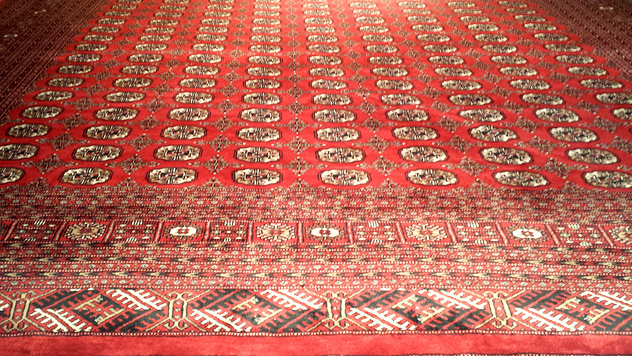 An elegant and formal hand-knotted Persian Sarough (Sarouk) rug in rust, Size: 10′ x 14′ was the perfect choice for their dining room. 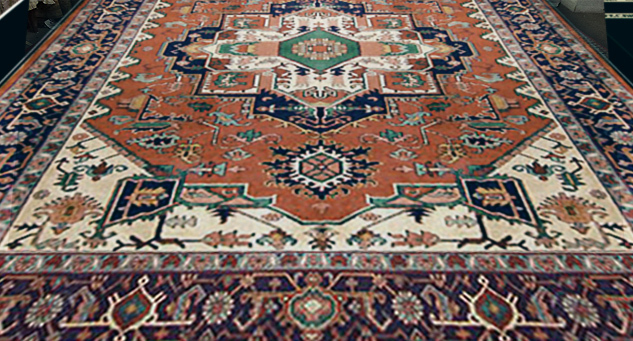 This large, classic Pakistan Boukhara all-over geometric design from Nejad Rugs was selected for the game room. newly decorating their home so beautifully. 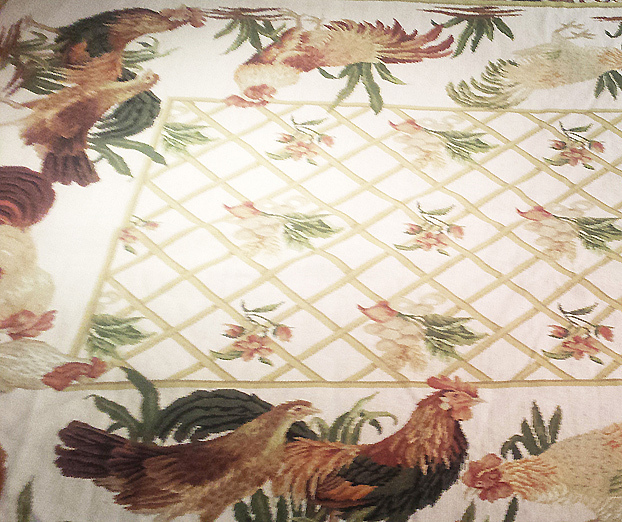 A whimsical handmade wool needlepoint with roosters & chickens was a must have for the bright and airy sunroom/breakfast room. This entry was posted in Designer's notes and tagged a classic Pakistan Boukhara all-over geometric design was selected for the game room, a whimsical handmade wool needlepoint with roosters & chickens was a must have, Nejad Classic Persian Heriz hand-knotted wool Oriental rug in rust and navy, Nejad elegant and formal hand-knotted Persian Sarough (Sarouk) rug, New Hope Bucks County PA clients color-coordinate Oriental rugs from Nejad Rugs by Theresa Nejad. Bookmark the permalink.